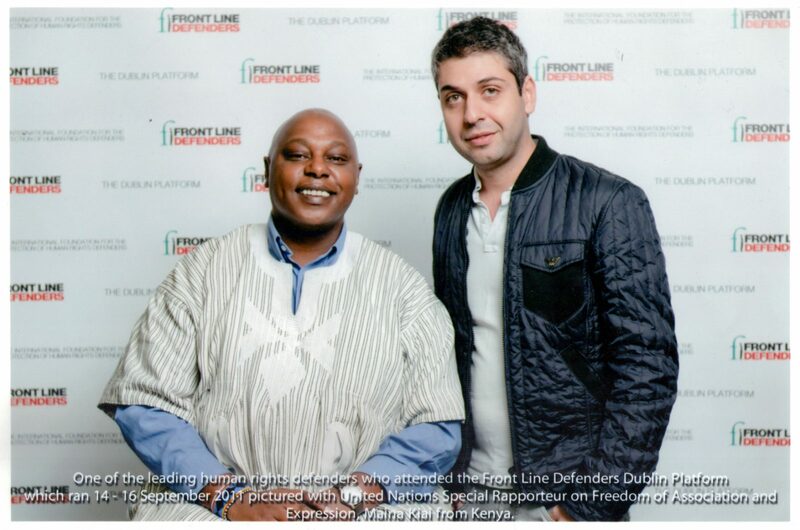 More than a hundred and twenty Human Rights Defenders from 85 countries worldwide gathered in the historic setting of Dublin Castle from the 14th – 16 September for Front Line’s “6th Dublin Platform for Human Rights Defenders”. The Dublin Platform, one of the largest gatherings of human rights defenders in the world creates a safe space in which human rights defenders, all of whom are at risk in their own country because of their legitimate human rights work, can speak freely, share experiences and work together to develop new strategies for security and protection. Founder and Executive director of Front Line Defenders Mary Lawlor gave the keynote address in which she highlighted the contribution of human rights defenders to the recent Arab Spring. “In the last year, the Arab uprisings have unleashed a wind of change that has rattled tyrants not only in the Middle East but around the world. In Tunisia, Egypt, Libya, Yemen, Bahrain and Syria, threats and brutality have failed to quell movements for freedom and human rights – and human rights defenders have played a key role. They will continue to play a key role monitoring reprisals, documenting atrocities committed by all parties and demanding justice for the victims”. In closing Ms. Lawlor quoted the words of imprisoned Uzbek human rights defender Dilmurod Sayid. Suffering from tuberculosis: and sentenced to 12 yrs, 6 months in prison – he wrote “ the representatives of legal organs circumvented the law, closed their eyes to justice, protected and continue to protect the interests of those individuals, which essentially are corruption, oppression, injustice and lawlessness. In the path of the law, it was not only me who became a victim of the courts of justice, but also my family. I have lost the people dear to me, and my innocent 5-year-old daughter. I have become “guilty”, though I am blameless. I am not afraid of death – I live awaiting it. I lived, worked and walked along the path of justice, caring for those around me. In spite of everything, I have always and always will be convinced that my work is right”. Dilmurod will not give up and neither should we. Justice, freedom and human rights will never come easy but neither can they can be indefinitely denied when there remain those with the courage to speak out and defend the rights of others.